YouTube is the most popular place on internet to share music videos, TV shows or funny clips. It’s also in the 10th of most visited website in the world. Since anyone can post their videos on YouTube, the kind of content that you can find doesn’t have a limit. From tutorials to repair a computer to political rants or beauty advice, people can share their knowledge or ideas with others. The fact that YouTube offers such a diverse channel of expression is one of the reasons why it has been blocked or partially restricted in certain countries. There are different censorship situations when it comes to YouTube. In some places, the website is banned and all of its content is blocked. In others, only some videos have been restricted. Occasionally, videos are even blocked temporarily. The reasons why content in YouTube is blocked are diverse and are not only related to geographical location. Some companies or educational institutions are concerned with the effect that the site can have in productivity and block it to avoid distractions. In certain situations, the videos are not made available in a country due to restrictions on copyright infringement and protection of intellectual property. There are also political reasons, such as concern from government leaders about a video that criticizes the ruling party or exposes its failures. Some videos may be seen as dangerous for promoting ideas that could lead to social or political agitation. There are also legal reasons to block a video in an specific region. For instance, if it is deemed that the material goes against the moral standards of a nation or violates local laws regarding copyright or national security laws. Countries like China, Pakistan and Iran are known for their strict control over internet, which includes blocking YouTube. German users have also been affected due to an on-going dispute between the video sharing platform and the performance rights organization GEMA. A German court ruled that YouTube may incur violation of copyright and cause damages for copyright holders when hosting videos without the proper authorization. This is the reason why music videos for recognized artists are not available in Germany. In addition, YouTube owner,Google, has actively collaborated with censoring YouTube across the world by removing content based on politically motivated take-down requests. This does not only happen in countries that ban the website. In some cases, they also disable related search terms and provide information that could lead to uncover the identity of a YouTube user. 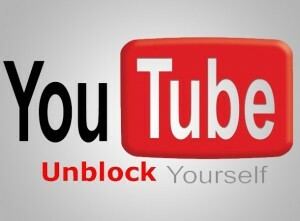 As mentioned before, China, Syria, Iran, Turkey and Turkmenistan are in the list of countries that have completely restricted the access to YouTube, where it remains unavailable to this day.The background for this blocking in each case is different, even though it has similar roots. In China, the relationship between Google and the government became tense after a series of episodes that made evident the control that the ruling party wants to apply over internet. China was upset about YouTube videos that showed police beating protesters in Tibet. Google refused to censor the content as requested by the government and also accused them of playing a role in cyber-attacks against their network. As a result, China imposed a ban in all Google services. Even though some of them have been restored partially, YouTube stills blocked in mainland China. 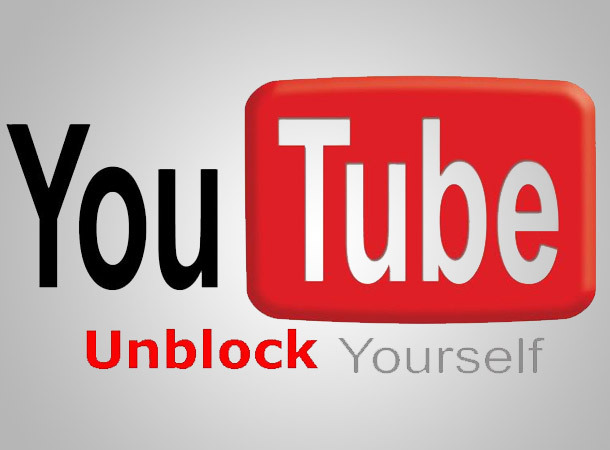 In Iran, YouTube has been blocked for political or moral grounds in different occasions since 2006. In 2009, the ban came as a consequence of videos that showed protests against the presidential election of Mahmoud Ahmadinejad. Even though the service was later restored, YouTube was blocked again in 2012, following the release of the Innocence of Muslims trailer. This was a 14 minute video that caused outrage across the world for its offensive depiction of Islam. YouTube’s ban in countries like Pakistan and Sudan was also caused by this video. An official alternative to YouTube called mehr.ie, was later launched and it’s meant to promote Iranian culture and values but no longer seems to exist. Syria had banned YouTube in 2007 and in 2011, for a short period of time the ban was lifted to ease the tension between the government and the opposition. However, the restriction was put in place again with the beginning of the civil war. Turkey blocked the website this year amidst political tension. In Turkmenistan, where there is only one Internet Service Provider, the exact reasons behind the ban are still unclear. However, given the country’s restraining approach to media and the limited access to internet, it is not surprising that the freedom to access YouTube is also restricted there. One of the most recognized VPN providers available and with an impressive network of more than 640 servers located in 76 countries, it is not hard to understand why HMA is so popular. They have one of the most convenient clients when it comes to changing your IP address, not to mention that their interface is very easy to use. While it is more expensive than other options, HMA also stands out due to its speed and features like free anonymous email. Thanks to its extensive network of over135 servers located in 58 countries around the world, IPVanish is an excellent option when it comes to bypassing geo-restricted content in YouTube. With such a wide range of server locations, you are likely to find a connection near you, which will allow you enjoy a good speed and a satisfactory. The fact that they manage their own infrastructure make them a reliable solution. VyprVPN is an efficient solution to change your IP address and access YouTube, thanks to their exclusive Chameleon technology. With Chameleon it is possible to bypass geo-location and ISP restrictions while maintaining the security of your data with a high level of encryption. VyprVPN is a service from Golden Frog, a company known for its commitment to innovation, technology and internet freedom. ExpressVPN offers a high quality of service, as well as an outstanding speed that will ensure that you can enjoy media content without any issues. Their interface is simple and their features allow you to change your IP address whenever required. You can choose amongst an extensive selection of servers located in 40 countries. While its speed needs to be improved, the company offers a convenient price and many useful features for less than what you pay with other providers. They are committed to protecting your privacy, which is also an attractive feature for many users. They offer a comprehensive solution with over 60 servers in 31 countries and more than 2000 dynamic IPs. ibVPN also has a free trial (6 hours) and a 15 day money-back guarantee.